We've been making our own blends for over 25 years, with the Yorkshire Range being, in our opinion, the best on offer. Each blend is chosen by us to represent a particular colour range that may be found in Yorkshire; a bright sunny day walking through the dales or perhaps the red bricked textile mills of Huddersfield, each one is a little Yorkshire scene. All blends are made with our standard 21 micron Dyed Merino colour range, together with Tussah Silk where mentioned. 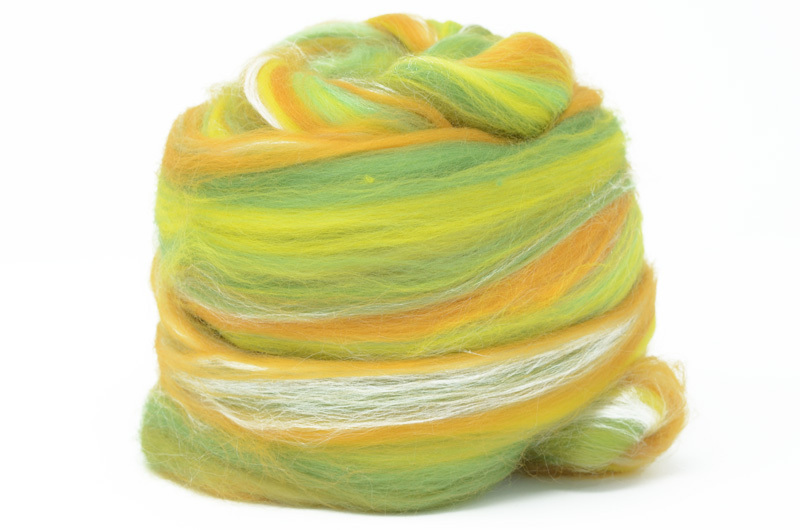 They are suitable for spinning, either straight from the top or carded, and make excellent colour-ranges for felting.